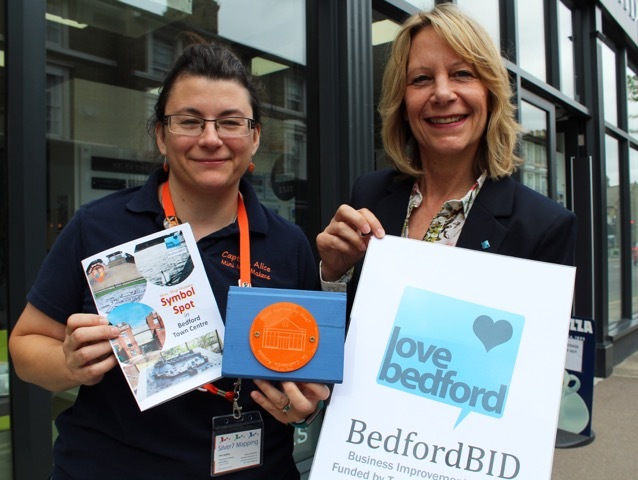 Young visitors are being encouraged to take a closer look at Bedford through a “Symbol Spot” summer search sponsored by Love Bedford. 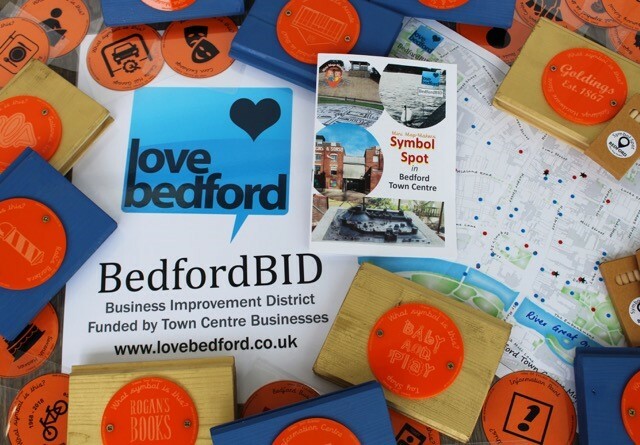 The books will take families on a tour of key points of interest in Bedford, and they will be learning how to navigate every step of the way. There are various stop-off points in the town centre - one being at the newly-opened St Cuthbert’s Arcade where Alice and Christina met up with Secret Garden, designer children’s clothes, business owner Natasha Trudgill. Natasha and nearly 20 other businesses are now trading from the new look setting and are looking forward to welcoming families all summer long. A trial of the trail was undertaken in the first week with pupils from the Priory Primary School, which is within the BID town centre zone. Alice (who is known as Ahoy! Captain Alice by her young fans) is a professional cartographer who teaches students up to A Level, and has run a similar trail at the Marston Vale Forest. She said: “We have 70 businesses from the Nat West on the High Street to lots of independents taking part with symbols on their windows or premises.